It’s now the stuff of legend in Australia – the story of two university students from Canberra, who – as part of a suicide pact – invited their friends round for a dinner party beforehand. Then, things didn’t quite go to plan. 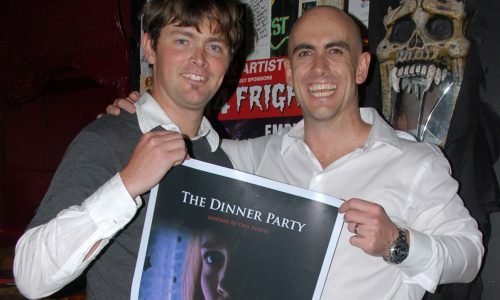 Director Scott Murden and producer Brendan Sloane have brought these events in their hometown – or at least their own version of that fateful night – to the big screen in The Dinner Party. 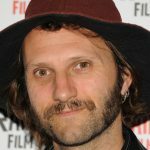 After a handful of shorts, they approached the Australian Film Commission for financing to make their debut feature, but although money was originally offered, the pair say the AFC changed their mind, because of the controversial nature of the film. 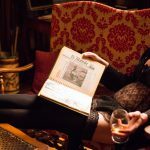 So, having found the Holy Grail of all independent film-makers – the wealthy benefactor – and with help from others, including the Sloane’s mother, they’ve found themselves not only selected for the Raindance Film Festival, but also nominated for the Best Debut Feature award. 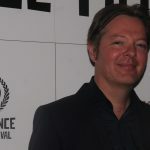 Murden says Raindance was always one of his targets for The Dinner Party, as it’s one of the few international festivals that’s accessible to independent films. Sloane describes the festival as a breath of fresh air and says that since its selection – even before its first screening – they’ve been approached by sales agents and they now have their first theatrical deal on the table, back home in Australia. This low budget film befits the low budget festival that’s screened it. 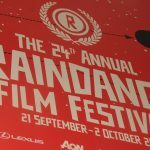 The head of Raindance, Elliot Grove, says that with the recession, the festival almost didn’t happen this year, until the Apollo cinema in Piccadilly offered him its screens. But he says the event has gone from strength to strength, with ticket receipts up 55% on last year. The hosts of Murden and Sloane’s dinner party are the striking couple, Angela and Joel, played by Lara Cox and Ben Seton. Cox will be familiar to some audiences from the 1990s Australian teen series Heartbreak High. Seton has been based in Los Angeles, for more than two years, where after a number of short films, including the writers’ strike satire Dumbstruck, he’s picked up the lead roles in two sci-fi thrillers, Thrillseekers and The Vanquisher, both of which are in post-production. 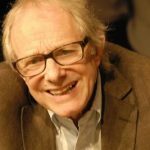 Seton and Cox recall some of Murden’s early tricks to help them understand their characters. Cox remembers walking around a market in character, snapping at stall-holders, before going back and apologising afterwards when she was allowed to return to normal. 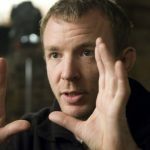 And Seton’s strongest memory is the “hand game” – where, the actors get their fingers to act out the emotions of different scenes, as they develop their personalities. It might sound odd, but whether it was because of such tricks or despite them, their performances are both outstanding – and bring the necessarily claustrophobic action to life. Another special mention goes out to Mariane Power, who – as Joel’s ex-girlfriend – is the catalyst for the unravelling of the suicide plot. Looking and sounding like a young Toni Collette, she’s also destined for big things. For such a dark film, it’s perhaps ironic that the closest it comes to Australia’s inimitable quirky sense of humour is Jerome Pride’s exasperated but loveable neighbourhood drug-dealer. With a film that touches on such themes as suicide, betrayal, jealousy and depression, it might come as a surprise to hear that both Murden and Sloane insist that they’re really good-humoured at heart. One of Sloane’s side-lines is as a comic actor, where he’s the face of an Australian hardware store in its advertising campaign. But, inspired by films such as Requiem for a Dream and Festen (another dinner party! ), they wanted to explore how normal people can be confronted by evil and do nothing about it and it’s this quandary on which the fate of the main characters rests. 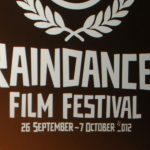 Raindance is the first time the pair have seen the film in front of an international audience, so they were concerned that without the background knowledge of the case that Australians would bring, it might not have the same effect. But Sloane said everyone was blown away – crying and laughing in the right places – and that helps them keep going. Like many low budget film-makers, Murden and Sloane are not yet making their money from their art. Murden – who’s currently based in London – works with people with mental health issues. Sloane works in accounting for the Australian government. “It’s always the nice quiet guys who come up with the sinister films,” jokes Murden. Despite their protestations about their real personalities, after watching this film, you might think twice before accepting an invitation to a dinner party round at their place, any time soon.